GUADALAJARA, Mexico. KidZania Journal. October 16, 2015. (English). –Last night, during a gala dinner at the beautiful “Tlaquepaque Historical House”, the Mexican Institute for Best Corporate Practices recognized KidZania and its president and founder for their Business Trajectory. The recognition, which celebrated its third year, recognized KidZania for its outstanding trajectory, leadership and commitment to positively improve the societies and environments where the Mexican edutainment company operates. Xavier López Ancona’s vision of creating a mini-city where children can role-play, work and manage their earned money to buy products and services was not an easy one in the beginning: many investors told him that his idea wasn’t feasible and that no kid would enjoy being in such place. Sixteen years after that, KidZania has proven that children all across the world embrace the idea of experiencing role-play, taking their own decisions and feeling empowered. With 20 locations around the world, 7 more under different development stages and 45 million visitors since opening its first metropolis in Mexico City, KidZania has become the leader in the edutainment category. Interviewed by the KidZania Journal Mr. López said: “I’m really thankful for this recognition, which I really want to share with every single member in our team. Ideas are not successful by themselves: it takes people and teams to execute and make them successful. Today, KidZania is a global family of over 8,500 people, and the effort and passion of each of them is what puts KidZania where it is today”. 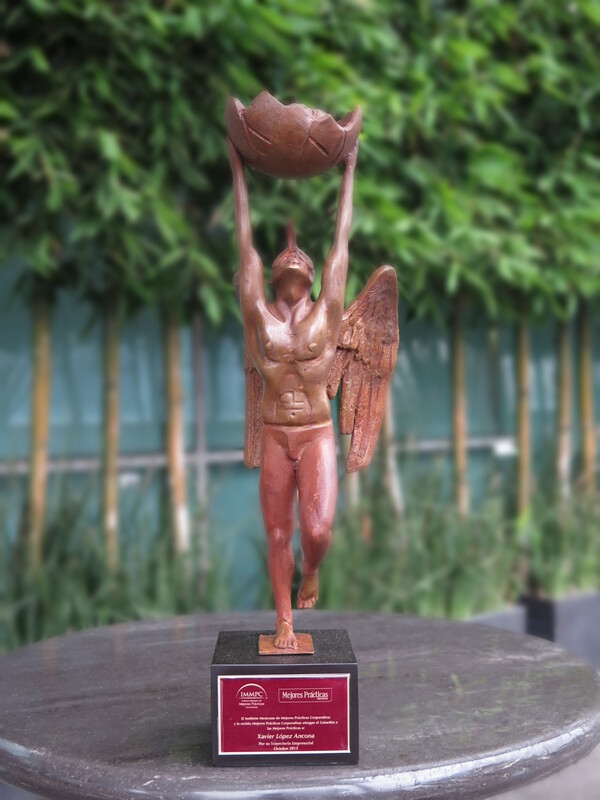 ← KidZania Cuicuilco is Named “2015 Best Metropolis”!